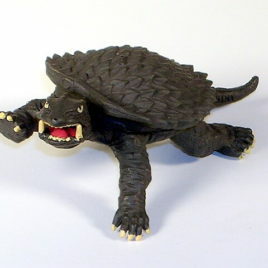 This is the Gamera 1965 figure from the Gamera Classic high grade set. The series was produced in 1999 and is out of production now. Amazing detail and color! This "High Grade" vinyl figure is approximately 2 ½ inches tall. CLAWMARK TOYS WARNING!! Small parts might be hazardous for very young fans. 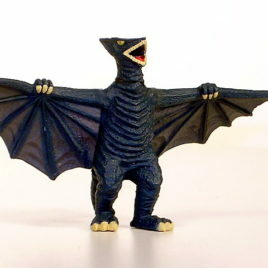 This is the Mother Legion figure from the new 8 piece GAMERA CHRONICLES High Grade set. Amazing detail and color! These "High Grade" vinyl figures stand approximately 2 ½ inches tall. CLAWMARK TOYS WARNING!! Small parts might be hazardous for very young fans. High Grade figures "snap" together, but might need Super Glue for hard play! 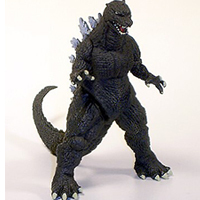 This is the Gamera 1965 figure from the new 8 piece GAMERA CHRONICLES High Grade set. Amazing detail and color! These "High Grade" vinyl figures stand approximately 2 ½ inches tall. CLAWMARK TOYS WARNING!! Small parts might be hazardous for very young fans. High Grade figures "snap" together, but might need Super Glue for hard play!